GHK finally release the DMR Kit for the GHK G5. Allow User to increase the effective range of G5 this compact rifle. The DMR Kit come with the cheek pad, external Hand guard and extended outer / Inner Barrel, All the component you need are in the box. 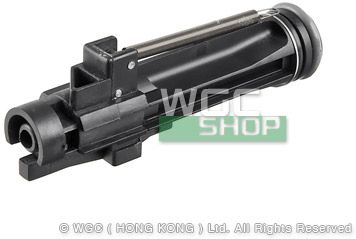 The extend barrel not only increase the accuracy of the gun, It also increase the muzzle velocity of the gun. VFC release the new M4 AEG –Dagger. As the name given from VFC, it is a compact M4 which less that 560mm and only weight about 2Kg. It is ideal weapon for CQB with it compact design and provide stable firepower will give user a lot of advantages. It also can be the secondary weapon as using same M4 magazine on open fields. So Shooter no need to bring 2 different type of magazine to the field . 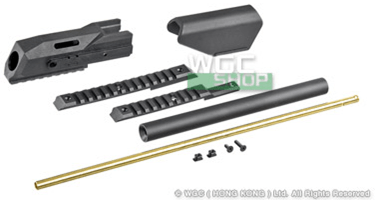 GHK Release 2 style of loading nozzle, the power up version and the power down version , allow user to switch the guns muzzle velocity by different loading nozzle. For those users already have the G5 GBB/ Kit Set, now you can just need to have to change the loading nozzle, rather than modification the gun by yourself to achieve the power you wish to have. The set also have the o-ring for the loading nozzle. Users no need to find it again. AEG, Hi-Cap Magazine x 1 & Low-Cap, 400 Pellets 0.2g BB, Cleaning Rod, Manual, DVD, Front sight adjuster. So which is better and why – MultiCam or Kryptek? In this post, we take a look at the two patterns and compare them in a variety of likely-airsoft settings. Check it out and decide for yourself. Slow Motion of a BMX rider at my local park. Thanks for the footage whoever you are. NOTE: I own the commercial rights to this music. Music by Johobo2 on Newgrounds. Today we have the video review of the ICS L85A2 Carbine airsoft AEG; this is an excellent airsoft replica for those airsofters looking for a unique bullpup with woodland and CQB field capabilities. The gun is built very solidly, with almost everything constructed of metal. The battery space is easy to access and all features are very user friendly, such as a functional bolt catch, easy access safety, and removable iron sights. The biggest con with this L85 would be the lack of customization available. Thanks for watching! If you enjoyed this video, leave a comment below! Be part of Autumn Justice 6, being held at UBG Airsoft in Bourne, MA on November 16-17, 2013. NEASG.org for details. Happy Halloween from C.A.T. Hope you enjoyed, thanks for watching! Slender video credits go to abaddon07x & Slender noises credits Axtones. At Bob’s Rebel Training Camp, there was a plethora of new and young players just getting into the sport, and it was awesome to have everyone out there excited to play. We wanted to give people a little glimpse into what they missed, so be sure if you want to attend future GI events, stay tuned to our web site www.airsoftgi.com. If you are on the east coast, and want to play with Airsoft GI, sign up for Operation Reclamation on Nov. 24th! Today we have the video review of the M18A1 Airsoft Claymore Mine! This thing is very cool and certainly something an airsofter would love to have to enhance their game and add a bit of realism. The mine operates on a very simple mechanism and is easy to set up, as you will see in the video. It can be triggered by a trip wire or by a remote (which really doesn’t work). This things works alright, when it actually triggers properly and when the BBs actually come out. 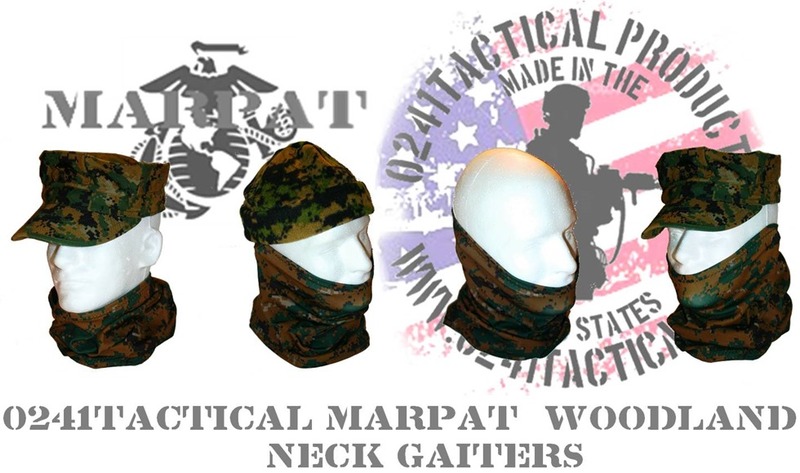 Personally, I would recommend this for those guys who just want that cool item or for those airsofters playing a sort of sniper style role. Thanks for watching! Yet another Battlefield launch plagued with glitches and begging for polish it still manages to impress in many areas. In this post commentary look at Battlefield 4 I discuss the current pros and cons while having hopes for the future! -110% Price Match Guarantee – we’ll pay you if you find it cheaper somewhere else! -FREE Shipping on Orders over $89 – Best in the Industry! -BB Guarantee! Guarantee performance and function or your money back! -Free Tune Up Service when you purchase a gun from AirSplat! -Free Upgrade Service when you buy $40+ worth of upgrade parts! This is our 4th year in a row having some fun around this spooky holiday. Chris, Dan, and Joe use some of the teams best guns to carve their own Jack-o’-lanters! 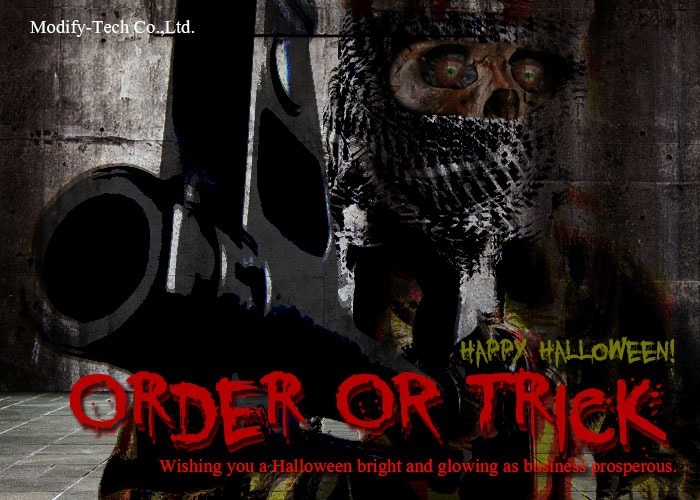 Hope you enjoy and make sure to stay safe this halloween by not using your airsoft guns outside of your house for any reason. The age anyone can play this game depends on the insurance cover that each site has. Most sites in the UK, USA etc accept players from age 14, though many will also accept players as young as 10. I would advise that before playing Airsoft at any site, you make sure it has insurance cover for all players. Always wear eye protection when playing Airsoft, even if you are just playing in your backyard. Airsoft is non lethal, no-one has ever been killed or seriously injured using these. It is not possible to convert these items to fire anything other than little plastic BBs. Above all, Always play safe. 13 Year Old Shot By Police. Airsoft Gun Safety PSA. Players need to share this and get people thinking about how they handle their replicas. Shootings like this should not happen if everyone make people aware that it is not ok to bring a replica gun into a public place! Here are a couple articles on this incident. If you own a airsoft retail store and want free publicity for your website, store or field then please watch the following video. Connect with crazyncman via my Facebook Fan Page. Need ammo without paying a lot for shipping? Bulk Airsoft Ammo offers free shipping on all items for sale. We ship to USA, Guam, Puerto Rico and the Virgin Islands. Need custom airsoft gear that is USA made? Vision Tactical makes 100% USA made tactical gear for airsoft players by airsoft players. We do not use real gun molds to make our products, we only use airsoft guns so you know the fit will be 100% correct! A couple of weeks ago I was given the opportunity to test the ‘TACLACE’ by the same named manufacturer TacLace. Having seen this innovative little product in some of my news feeds and knowing it was designed by guys from the field. I jumped at the chance to put it through its paces. Dear Friends, How are you? Time flies like an arrow. It’s almost the end of 2013, hoping everything is going well with you. Halloween is coming soon. We wish you have a happy festival. Burst Wizard is coming out with a NEW REVOLUTIONARY MOSFET! This is a must have and affordable MOSFET for everyone who owns an AEG! and battery discharge conditions and safely protect your AEG! 5) World’s only plug-and-play or hardwired-able MOSFET, your choice of installation! * Unlike regular or resettable fuse used in an AEG, no waste of power (lower ROF) due to heat lost in fuse before tripping (regular usage)! * BWKKS2 adaptive resettable fuse is ideal for AEGs running with LIPO or LiFePO4 where no ordinary fuse is efficient or even sufficient to do the job! HOW MUCH ARE YOU WILLING TO PAY TO ENHANCE AND PROTECT YOU AEG? Just email me at yhotracy@aol.com to reserve one. Team Therapists will be stopping by for our Live Show today 10/29/2013 @ 4:30 PM PST! Be sure to tune in! New Mystery Box: Version 3 Too Cheap To Be True Mystery Box will be going live on Wednesday 10/30/2013 @ 5:00PM PST! This mystery box will be going for $19.99 and there are limited quantities available. First glimpses of the new King Arms L1A1 SLR. Our delivery of the much anticipated new version of the King Arms L1A1 (SLR) arrived today at Mad Badger Airsoft! Whilst there will be an in depth report coming on Airsoft Odyssey and Arnies, I thought I will send you my initial impressions and, of course, those essential first pictures of the guns seen worldwide! On opening a box of SLR’s, the first thing I noticed was that the boxes of the individual guns are as they were back in 2008! A solid, decorative, King Arms gun box, picturing the weapon in a glossy black and red finish. When opened, the SLR was solidly fixed in foam, along with the magazine and King Arms booklets. On removing the SLR from the foam, I noticed the tag attached to the gun with the individual test details and individual serial number. On inspecting the gun, I found that the weapon was finished in a superior way to the first version back in 2008, with better joins in the stock and handguard (pictured), and all the serial numbers and trades properly displayed in the receiver. The weight of the SLR was excellent and the cocking handle felt right, with the cocking of the weapon appropriate. As someone who has fired the real steel SLR, and carried the 2008, first version SLR by King Arms, I have to say that my first impressions leave me stunned for words! I cannot thank my friends at King Arms enough for their work on this project and putting up the nagging from us at gun shows, such as the IWA Show and Shot Show, to get the gun back in production. From what I can see so far, King Arms took a risk, and it will amply pay off for UK Airsofters and King Arms. More to come on Airsoft Odyssey and Arnies. Gunfire: The masterpiece has come! Since some time we’ve been informing you about new player on airsoft market – E&L Airsoft company, with which we cooperate to build brand new quality in aspect of external look and realism. What is the most significant features of this replica? This hi-end series, we would to offer you on price level, known from regular, AK replicas from good brands!!! Prices of full line will be from 235 € up to 355 €. We’re doing everything, we can, to release the full line in December. But, since next week, you can buy E&L replicas in pre-order!